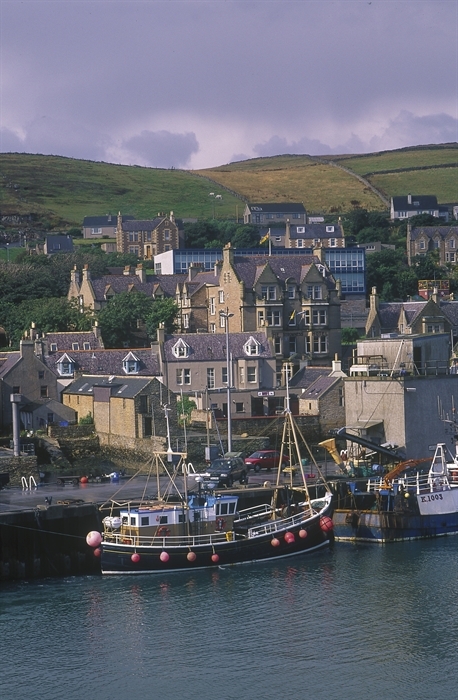 Welcome to the Stromness hotel, a centrally situated hotel overlooking the harbour and Scapa Flow. 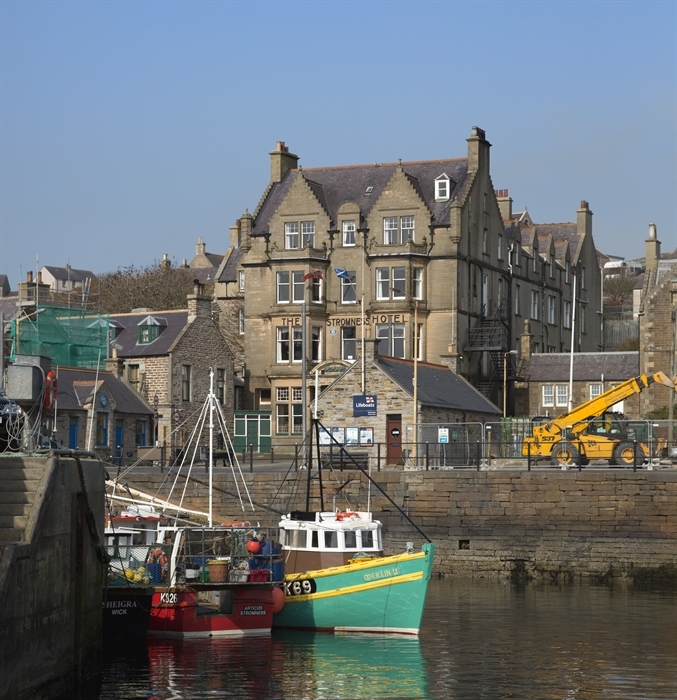 Indulge in the charm of a picturesque village harbour view from the bay windows of the Hamnavoe Lounge Bar where award winning Orkney Ales are available on tap or enjoy a welcoming open fire and warm atmosphere in the traditionalsplendour of the Flattie Bar. Residents can enjoy a cosy quiet atmosphere in the Still Room with a choice of over one hundred malt whiskies.